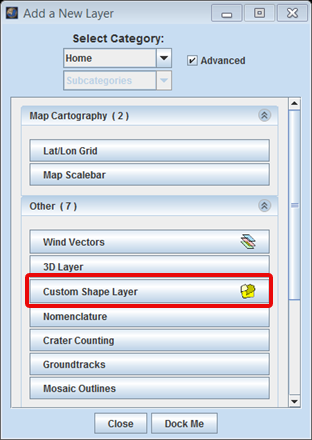 The purpose of this tutorial is to walk users through the process of opening JMARS, opening the Shape Layer and adding fields to view the area and center(latitude, longitude) under the polygon. In the Layer Manager, click "Add New Layer" -> "Custom Shape Layer", then click on the "Custom Shape Layer" tab to access the focus panel. 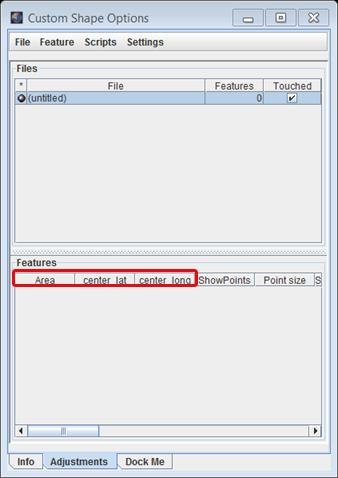 In the Shape Layer focus panel click on "Feature" -> "Edit Columns...". 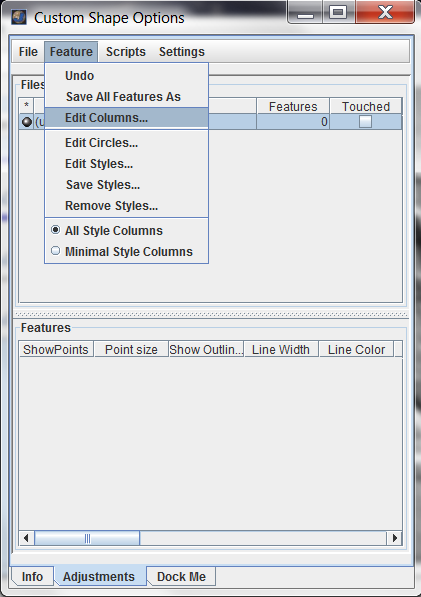 In the new "Edit Columns" window that opens up, type the name of the new column and select its type from the Type drop-down menu. Click on Add Column. For our case we will require to add three columns: center (latitude, longitude), Area. 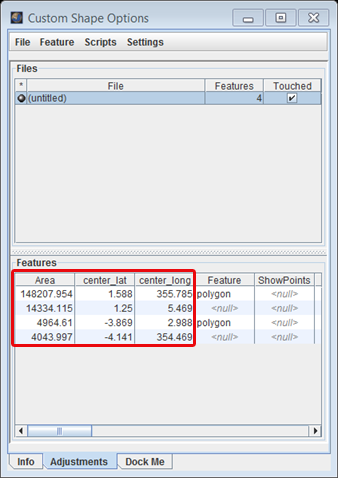 Select the types Center Latitude, Center Longitude and Enclosed Area for the three columns. 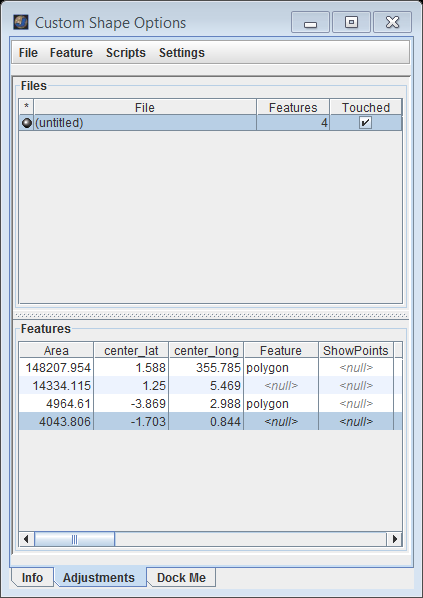 The new column names together with their types appears in the list of columns. The description of the column is also displayed. Add shapes to the shape layer as covered in the previous tutorials. 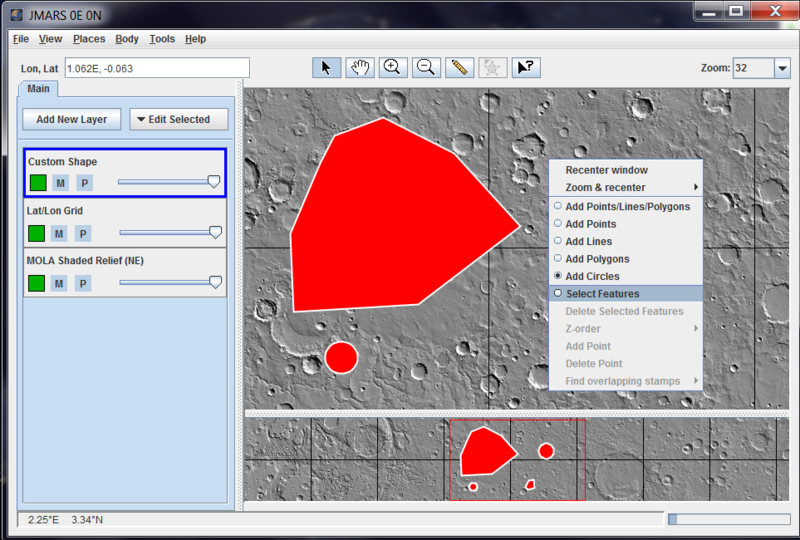 The center latitude, center longitude and the area for each of the added polygons appears under the respective columns in the Shape Layer focus panel. We have added a two polygons and one circle. The difference in the enclosed area is clearly visible. 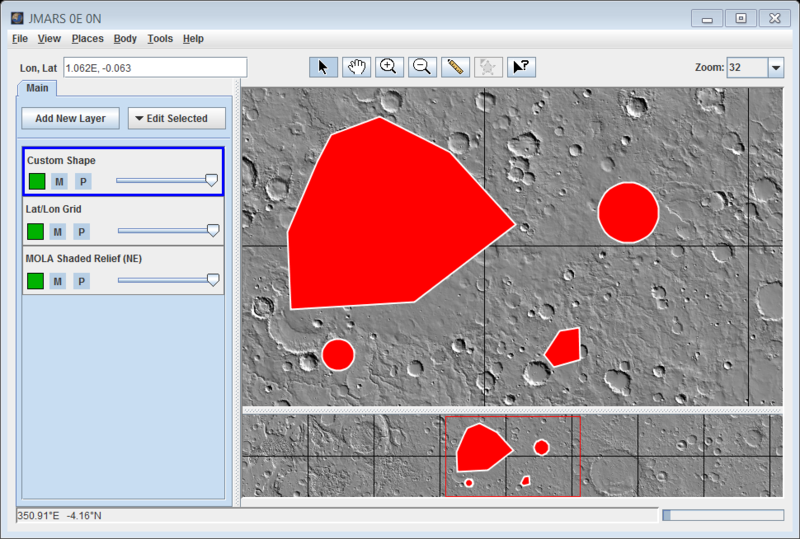 Select a shape by right clicking on the Main Window and select "Select Features". Now move the shape by left click drag to the new desired position. In our example we have changed the position of the circle and the smaller polygon. 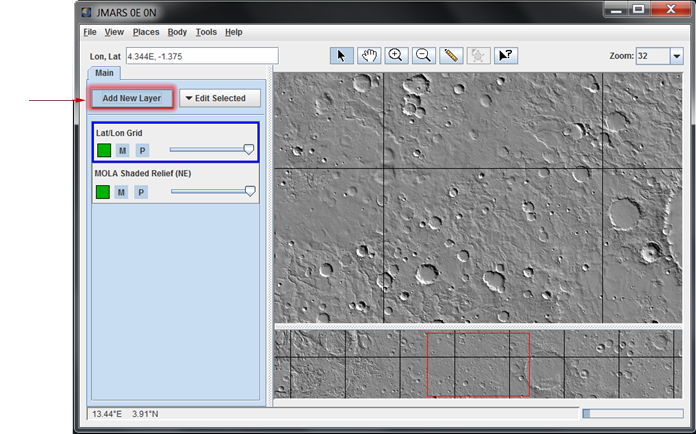 The new center(latitude, longitude) for the two features appear under the respective columns in the Shape Layer focus panel. Congratulations! You've completed a Shape Layer Tutorial!